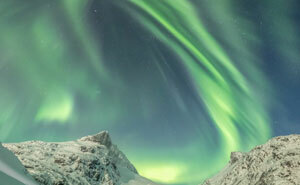 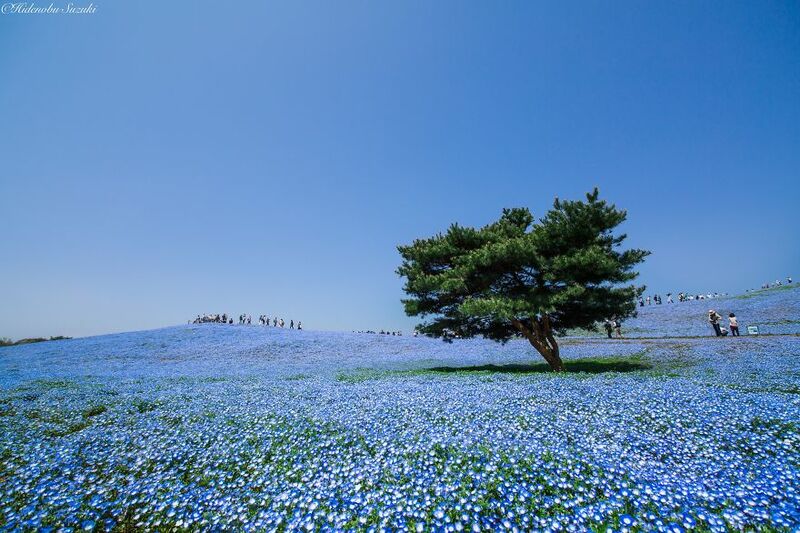 Japan is known for its beautiful colourful spring. 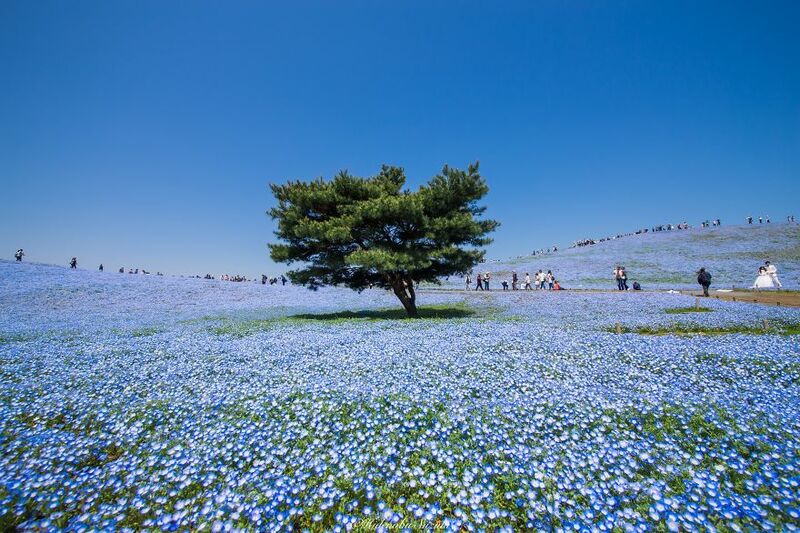 I have already shared images of plums and sakuras blooming and now the colours change. 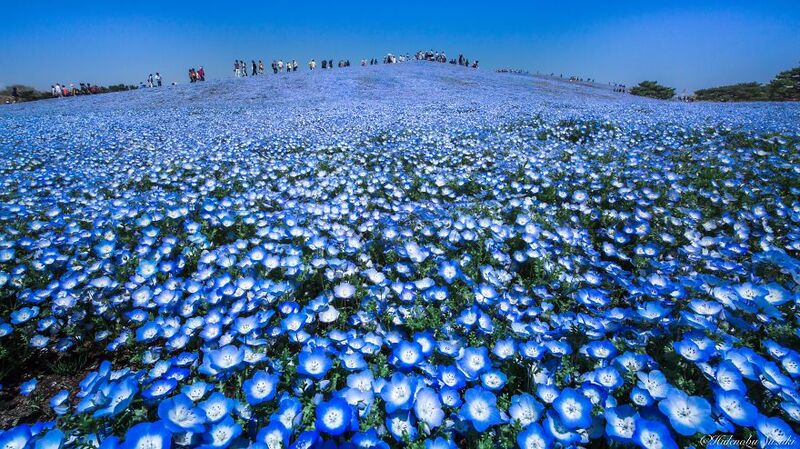 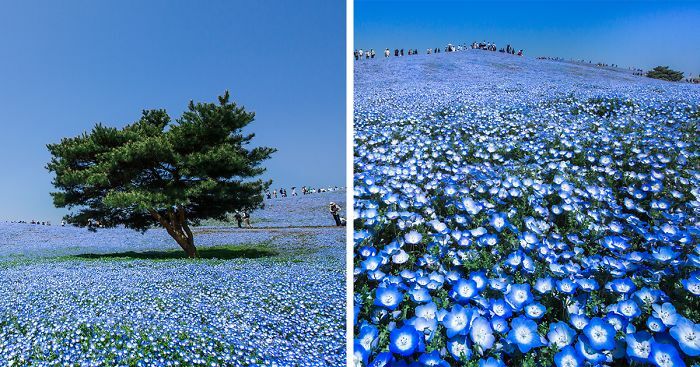 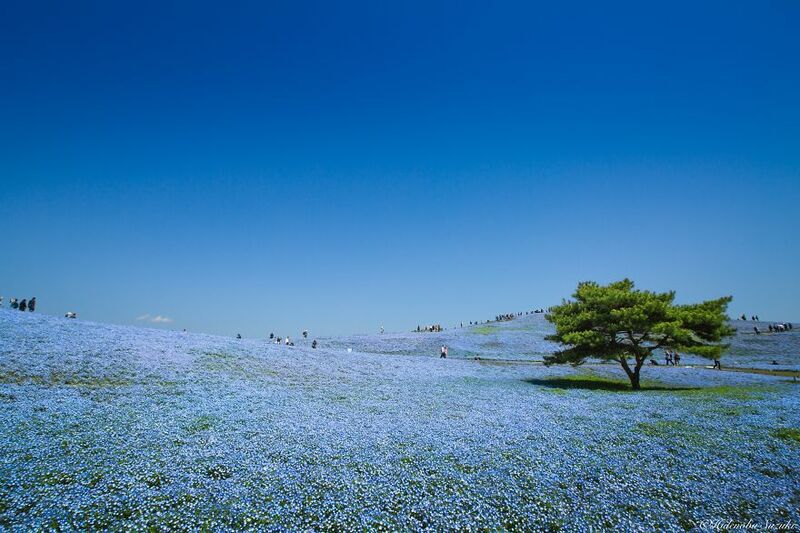 Now I would like to show beautiful landscapes of Japan’s Nemophila, or Baby Blue Eyes and Shibazakura fields.